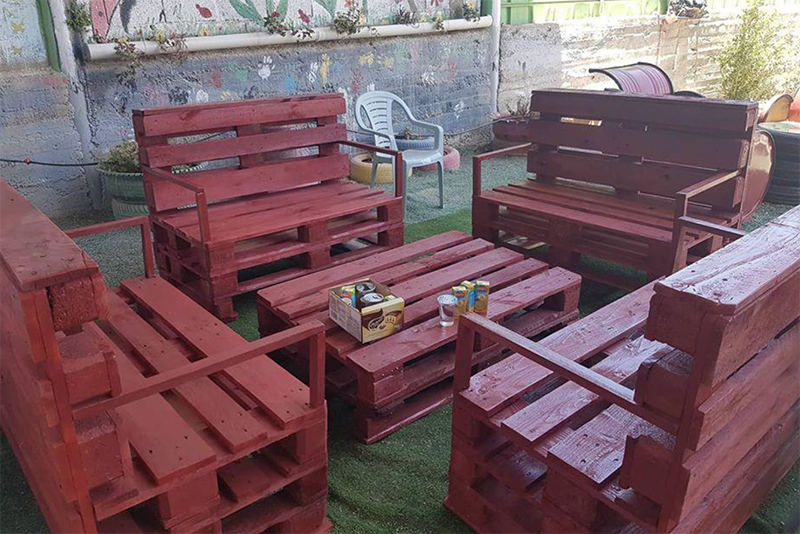 Our environmentally focused projects involve diverse communities in Israel and the West Bank, including Jews, Muslims and Christians, Bedouin, Druze and immigrant communities, and may be located in Israel and the West Bank. These projects include work where we have provided expertise and/or funding. Our partners include organizations that we have been or are currently working with, and organizations with which we are discussing future opportunities. All of our environmental projects are part of our Environmentally Sustainable Projects initiative. 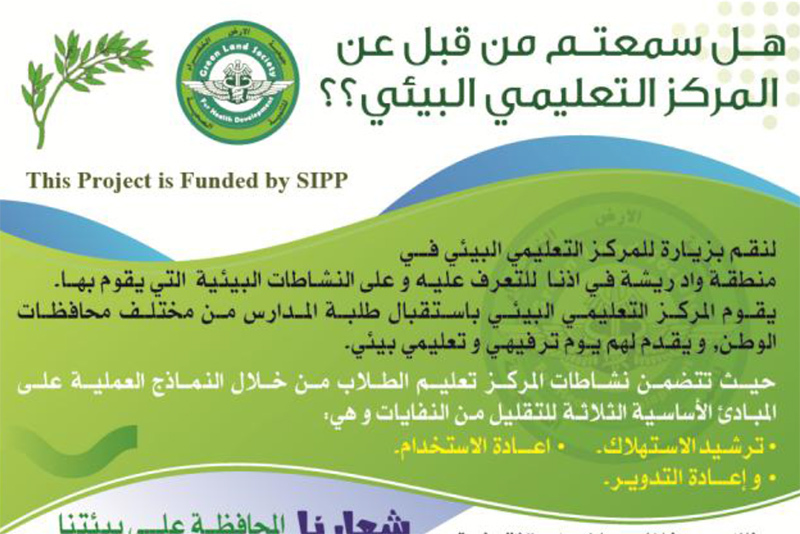 SIPP's non-environmentally focused civil society-building projects can be found here. In 2018, SIPP was able to provide the Green Land Society for Health Development with a modest grant to help support operational costs, and is bringing GLSHD's Director to Boulder in 2019 to learn about US environmental education and recycling practices. Between November 2018 and February 2019, supported by a grant from SIPP, approximately 300 students from 12 area schools visited the Center. The school visits included lectures, hands-on activities, and student competitions. Importantly, most of the schools committed to incorporating some of the recycling concepts back in their schools. The Center also created several "new" projects to demonstrate how waste materials can be turned into functional and/or artistic items. 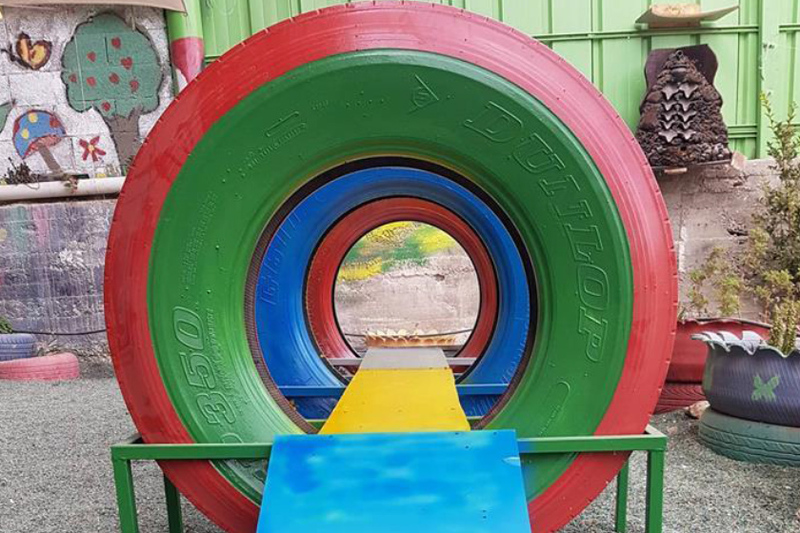 These include chairs and tables (discarded wood), play structure (discarded wood, tires and scrap metal), and a plastic tree (discarded nylon bags and plastic containers). 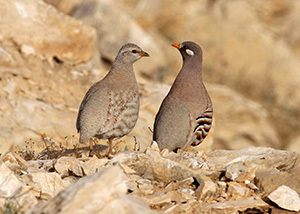 In the Kidron/Nar Basin, just east of Jerusalem, SIPP is working with the Nature Palestine Society, and the Amuta for Education and Health in Israel, to catalog local bird and plant species as part of a larger effort to promote environmental awareness and eco-tourism in this part of the West Bank. 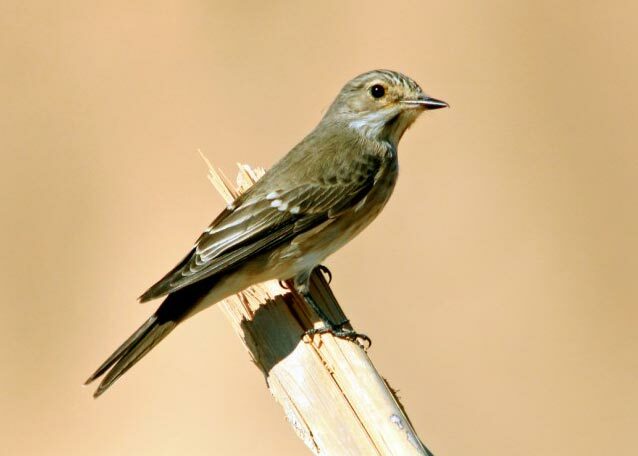 Both Israeli and Palestinian ornithologists are involved in this effort. The larger project will include a constructed wetlands along with a bird blind/observation area, as well as marked nature trails. The bird and plant study will add to the overall knowlege of wildlife in the area and produce a guide for local communities. 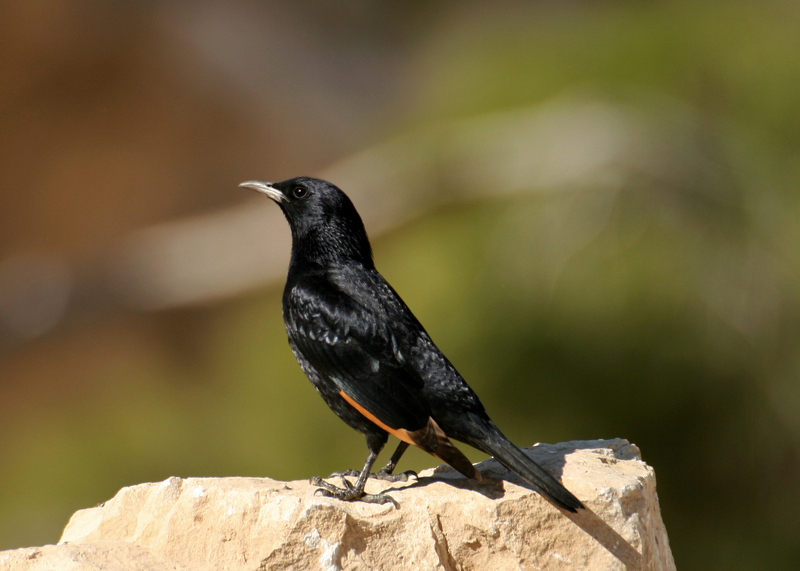 During the study, which will run through 2019, unusual bird and plant species will be identified and cataloged. Two reports will be produced: an academic-quality report and a shorter lay-person report. These will provide information that will be used in developing marked nature trails in an around Ubeidya and near the Mar Saba Monastery. 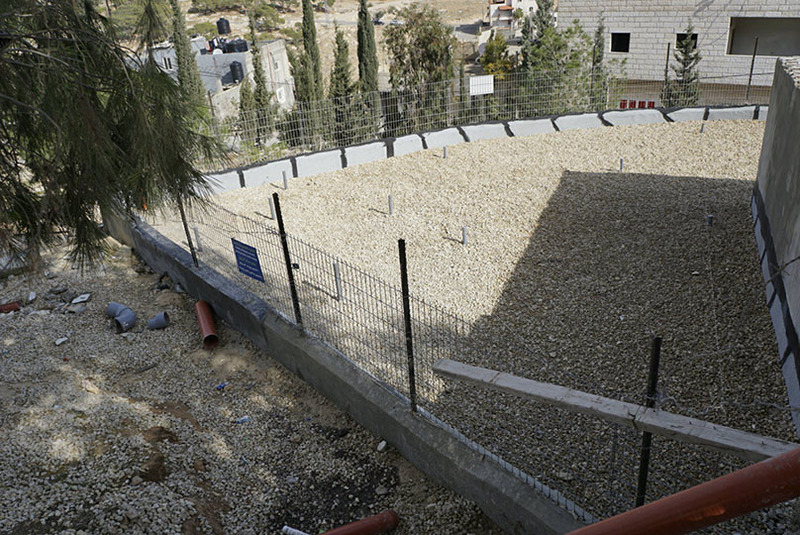 Discarded, off-spec, and other materials containing circuit boards, cables and electronics from Palestinian and Israeli sources, are processed in several small villages near Hebron. The processing includes refurbishing/reselling products, and also harvesting metals for scrap value. Harvesting often involves open burning of circuit boards, cables, etc. which releases toxins into the air, water, and soil, creating a hazard for workers and local residents, regardless of borders. The Green Land Society for Health Development (GLSHD) has documented elevated blood-levels of heavy metals in the local Palestinian population, as well as elevated levels of miscarriages. In 2017, in coordination with GLSHD and AJEEC-NISPED (an Israeli NGO), SIPP brought Anne Peters (Gracestone, Inc. ), an American expert on e-scrap processing, to the region to provide relevant health and safety workshops in Idhna (near Hebron), Al Quds University, and Tel Aviv University. The purpose of this trip was to learn more about e-waste/e-scrap practices in the region, as well as to educate the affected communities about the health and safety issues associated with e-scrap/e-waste management and also current international standards and practices. Learn more here. East of Jerusalem, rapidly expanding local communities lack infrastructure to treat raw sewage, which ends up in local wadis. 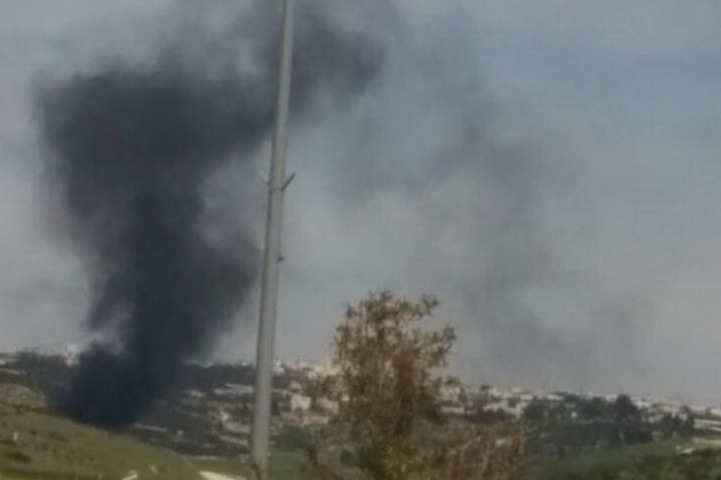 Raw sewage from Jerusalem and Bethlehem compound the problem for small communities in the Kidron/Nar basin. 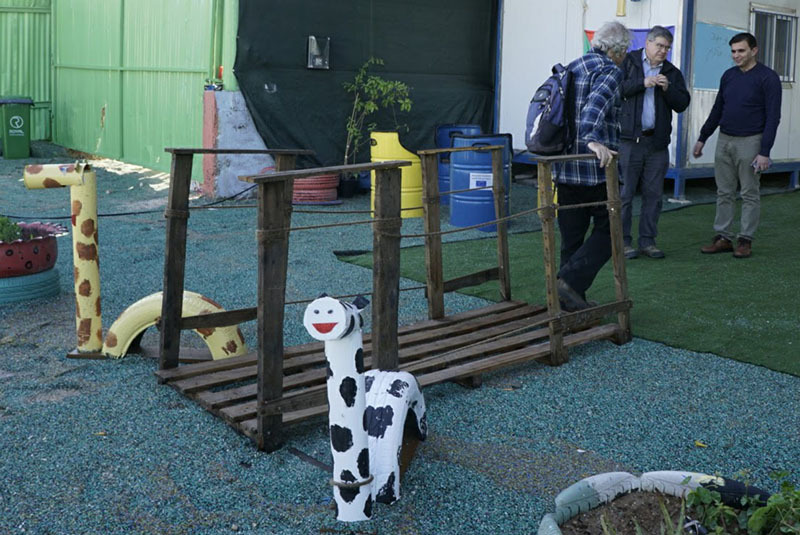 Environmental lawyer and Hebrew University professor, Richard Laster,throught the Amuta for Education and Health, has been working with these communities to mitigate their sanitation issues. A Palestinian researcher has also been working with these communities to implement local solutions. SIPP is working with both Israelis and Palestinians to develop artifical wetlands to treat local sewage, create more local vegetation, and develop water resources for agriculture. SIPP has provided funding through the Amuta For Education and Health to assist with two constructed wetlands in Ubeidya - one (a demonstration project which started operation n 2018) adjacent to two schools, and one (in planning) located in a growing residential area. 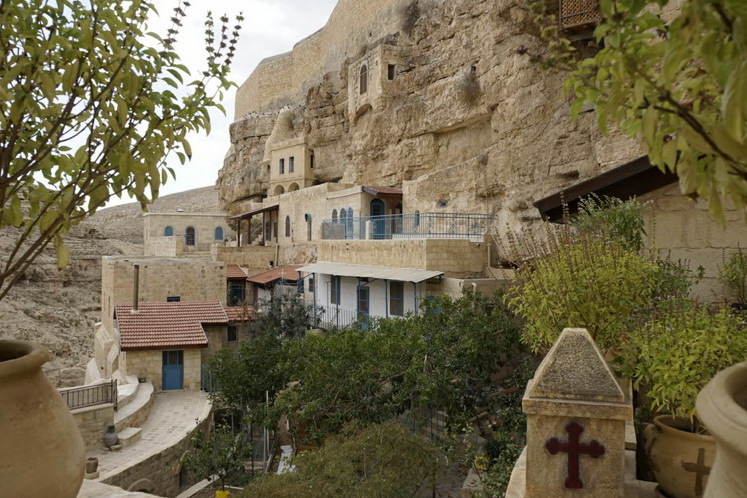 The 1500 year old Mar Saba Monastery, located in the Judean Desert east of Jerusalem on the side of a canyon in the Kidron/Nar basin, is a Greek Orthodox pilgramage site, and attracts visitors from all over the world. The adjacent Kidron/Nar stream is highly polluted with raw sewage coming from Jerusalem, Bethlehem, and other local communities. Several of the ancient cisterns that provide drinking water at the monastery are also contaminated - displaying elevated levels of e-coli. In 2018, SIPP board members Peter Ornstein and Dr. Bernard Amadei visited the monastery to try to ascertain the source of the cistern contamination. Specifically, they were interested in finding out if controlling the discharge of sewage upstream in Ubeidyah would halt the contamination. After a day of walking the adjacent wadis, conferring with the resident monks, and reviewing environmental screening data, they identified that the contamination was probably coming from two sources: 1) several residential and agricultural structures immediately adjacent to the monastery were likely the primary cause of contamination; and 2) during severe weather events, contaminants (albeit diluted) were likely flushed downstream from Ubeidyah. They recommended that the "holy spring" (located at the Monastery) be tested for more than just e-coli (it was clean in the sample results previously obtained by the Monastery), and its recharge area (i.e. the source water for the spring) be better understood so that it can be protected from future human and agricultural encroachment. They also recommend that additional steps be taken to physically isolate the cisterns from one of the problemmatic drainages. The Arava Institute of Environmental Studies is an educational institute located at Kibbutz Ketura, in the rift valley, about 30 miles north of Eilat. The Institute is affiliated with Ben Gurion University and offers college and graduate level courses on environmental, natural resources, and agricultural studies. The student body is comprised of a mix of Israelis, Palestinians, Jordanians and students from other countries. "Here, the idea that nature knows no political borders is more than a belief. It is a fact, a curriculum, and a way of life." In 2018, SIPP partnered with the Friends of the Arava, and another local partner, to showcase some of the Institute's work. 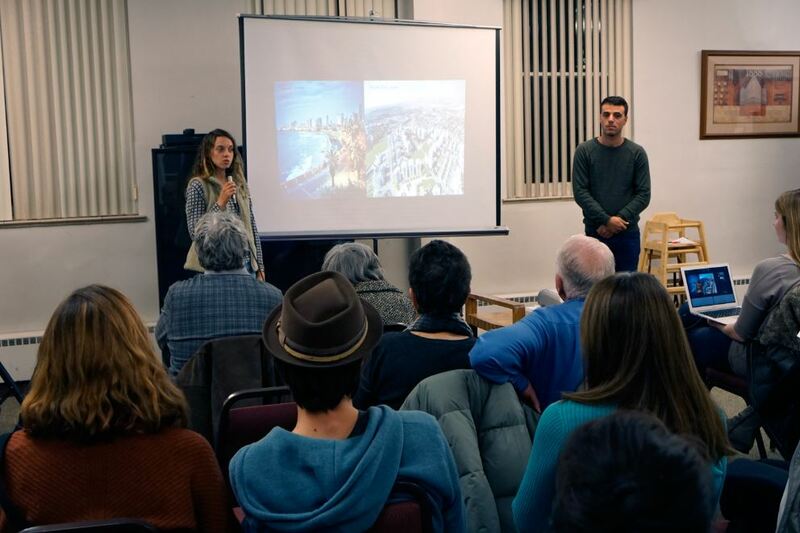 Several alumni from the Institute, including an Israeli and a Palestinian, gave a presentation in Boulder, CO, on their experience living and studying together at the Institute in times of political calm and political turmoil. SIPP is looking for ways to further support the Arava Institute. Bernard Amadei, one of SIPP's board members, has partnered with Arava faculty on research projects and substantively participated in programs at the Institute. Inon Kahati is on a mission. A native Jerusalemite, he wants to build community across the entire land to respect the land, and respect each other. 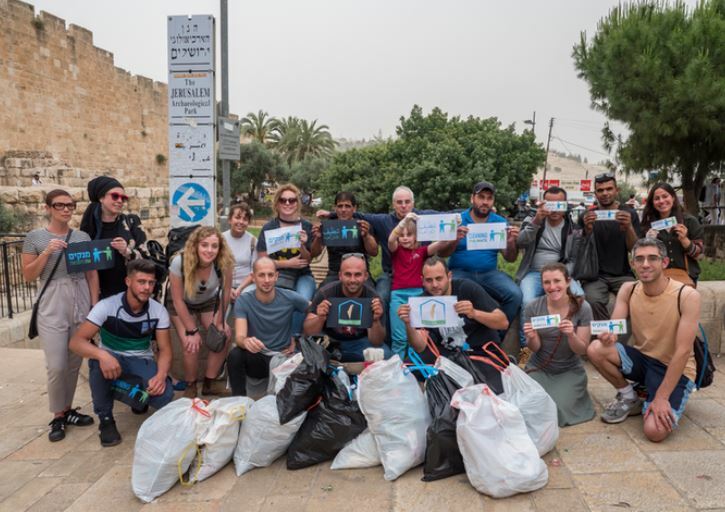 From Ramallah to Tel Aviv to Gaza, from Palestinian refugee camps to Israeli West Bank settlements, Inon brings people together to clean up the ubiquitous litter that mars the landscape. And in doing so, Inon brings people together to have dialogue, and, importantly, coffee. SIPP has met with Inon and admires his work. We hope one day we can participate in a multi-national social-network-connected litter clean-up event. Learn more about Cleaning The Hate. 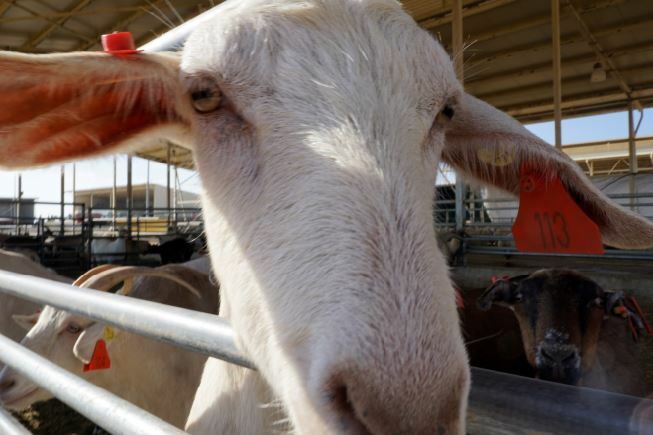 Wadi Attir is a Bedouin administered sustainable agricultural project northeast of Be'er Sheva, near the Bedouin community of Hura. It is intended to demonstrate how desert agriculture, utilizing ancient Nebatean "technologies", can thrive in the Negev desert. The project is a testing ground for both new and ancient technologies, provides agriculutural workshops for the neighboring Bedouin communities, has livestock and a medicinal herb farm, provides environmental education for schools throughout Israel, and serves as an eco-tourism destination. While Wadi Attir is still a work in progress - in just a few years it has transformed from an empty hard-pan desert landscape, to an area where vegetation can grow without assistance and attract wildlife not typically present in the area. SIPP has visited Wadi Attir numerous times and met with its visionary founder, Michael Ben-Eli, when he was in Boulder. While we are not currently partnering with Wadi Attir, we are inspired by its work and look for ways to work with Wadi Attir in the future. 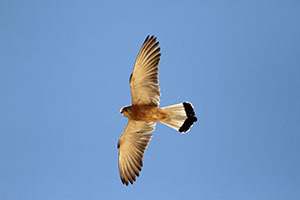 Click here for more information about Project Wadi Attir.